Cherry and Spoon: Minnesota Fringe Festival 2018: "The Great Canadian Maple Syrup Heist or, Ocean's 'Eh'T? : A Musical"
Minnesota Fringe Festival 2018: "The Great Canadian Maple Syrup Heist or, Ocean's 'Eh'T? 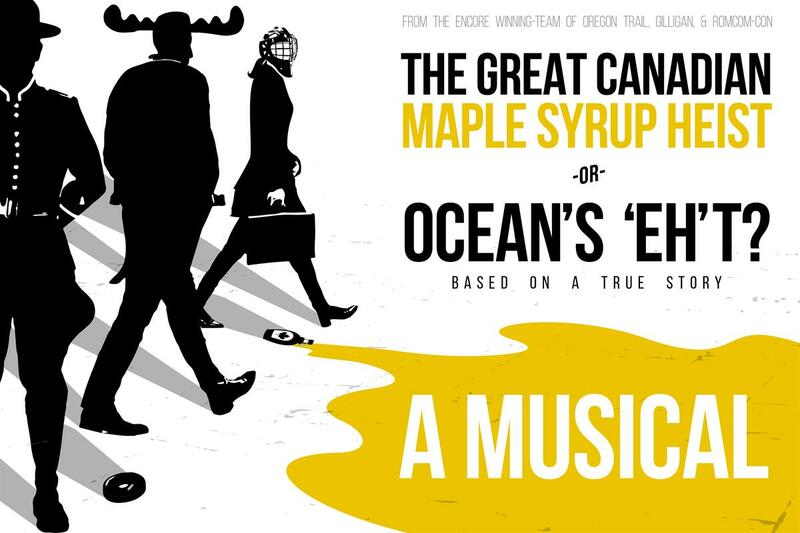 : A Musical"
Summary: A musical spoof of the real life event in which $18 million worth of maple syrup was stolen in Canada. Highlights: If you've seen any of their past shows, you know what to expect from Literally Entertainment (music and lyrics by Kyle DeGoey, book and direction by Travis Carpenter). Funny and clever songs, a silly and fun story, and enthusiastic performances by the winning cast. This one also features a good old fashioned heist and plenty of Canadian humor (they're so polite, they drink beer, they wear plaid, they speak in funny accents). While the lengthy plot explanation at the end of the show is a bit confusing and goes by too fast to make sense, it's a fun and very fringey musical. And there's a moose! Oh Canada, we love you (and we kind of wish we were you).